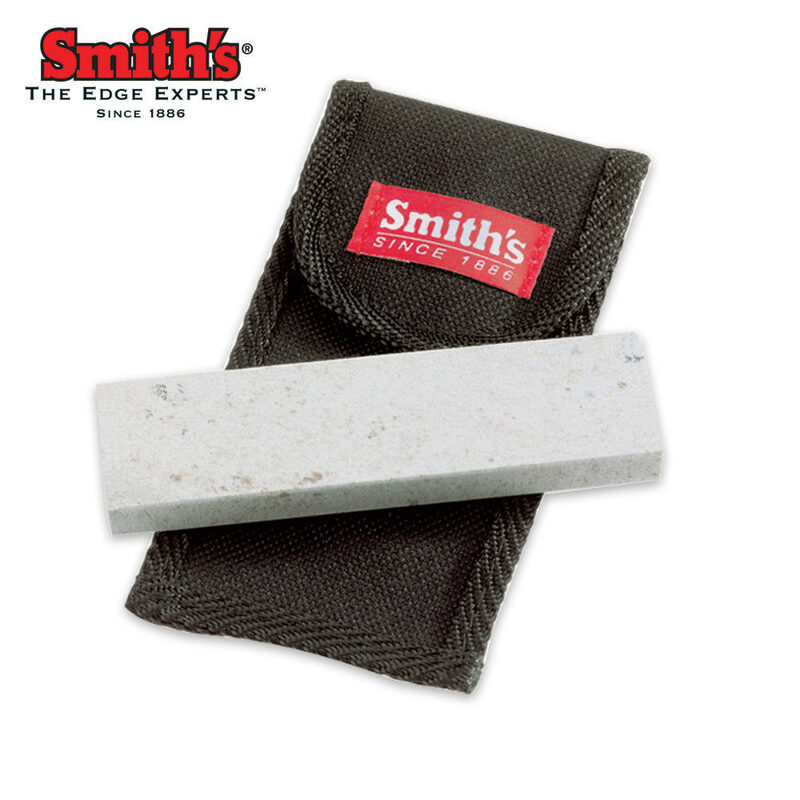 Smith's 4" medium Arkansas stone is perfect for sharpening any knife, large or small. It will remove modest amounts of metal as it sharpens and polishes the cutting edge. The stone is mounted on a molded plastic base and the cover doubles as a base extension when not covering the stone. Medium grit a good choice for field sharpening and an excellent choice when teamed up with Smiths Knife Sharpener 2 Step Item #40 SMCCKS for minor touch ups requiring less effort than the stone. I have used 3-in-1 oil myself with decent results in lieu of Smiths Honing Oil. Excellent product! This stone gets five stars because for the money you really won't find any better. I have used Smith's sharpening products for years. This stone makes a nice edge, especially if you're out camping and need a good utility edge, but it will make your blades razor sharp too, it just takes a little more time and patience. Make sure you buy the Smith's honing solution, too. it works much better than water and it keeps rust from forming in the stone from microscopic metal particles, which are a natural by-product of the sharpening process. Keep your blades sharp and your powder dry.